Step-up to fashion with comfort. 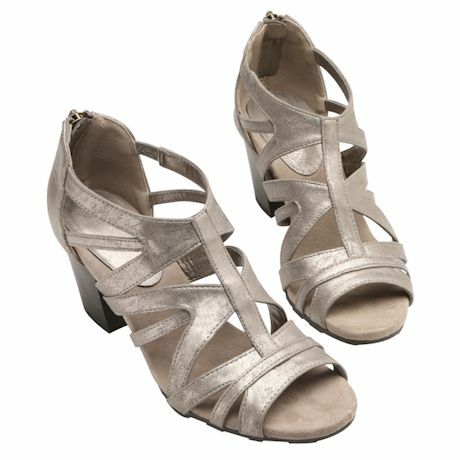 A convenient back-of-heel zip adds structure without detracting from the edgy, open-straps design. Super-flex footbed on a 2½" blocky heel elevates without being uncomfortable. Imported, man-made materials. Choose Pewter or White, medium width in whole sizes 6-11.